Aleka Potinga is part of an ever growing European jazz influence who has trained with Ronan Guilfoyle in Newpark Music Centre and subsequently gone on to be woven into the tapestry of a rich and ever growing Irish jazz scene. We are excited to be hosting Aleka at Bagots Hutton LIVE along with an impressive lineup of musicians. For over 50 years the music of bossa nova has captured the imagination of the world. Bossa Pra Gilberto is a celebration of this rich musical heritage with a particular focus on the repertoire of the great Brazilian singers Astrud Gilberto and Joao Gilberto. Join us for a night of atmospheric bossa novas, energetic sambas and everything in between. Aleka is a Romanian vocalist, cellist, composer and lyricist who draws influence from her home country, using folk melodies interspersed with jazz harmony and eastern rhythms as well as Debussy and Bella Bartok, inspired by her experience in the classical music world. The approach of the band may seem like it adheres to the traditional sentiments of a vocal jazz quartet however, it is influenced by a broad spectrum of styles from the roots of jazz to the contemporary reaches of pop music.Aleka's voice is a myriad of textures and sonorities. She spent time exploring bell canto technique as well as the nuances and colours of oriental music and soul. All of these influences and styles culminate in a refined vocal sound that is very personal. 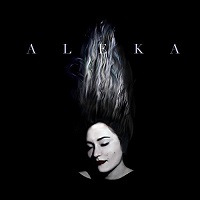 Aleka released her debut EP in November 2016, receiving a 4 star review in The Irish Times. Chris is an up and coming guitar player on the Dublin jazz scene. He grew up in a musical family where his father Ronan Guilfoyle and uncle Conor Guilfoyle are household names in the Irish jazz scene. He has studied at Berklee College of Music - where he was awarded a scholarship from Fender Guitars, Newpark Music Centre, the Jazz and Improvised Music Salzburg conference in Austria and Hochschule Luzern, Switzerland. Chris was also selected to represent his college at the International Association of Schools of Jazz in The Netherlands in July 2010. In August 2011, Chris was accepted to study at Dave Liebman’s Chromatic Harmony Workshop in Stroudsburg Pennsylvania, USA. Since graduating, Chris has been actively performing in the Dublin music scene as well as abroad. Chris leads his own group Umbra, a critically aclaimed quintet featuring some of the most promising musicians in the country. He also plays as a sideman in 3G (Ronan Guilfoyle, Conor Guilfoyle, Chris Guilfoyle), Kevin Higgins’ Nature and Edel Meade’s Swooh-Beh Project. Currently, Chris is part of the guitar and ensemble faculty of DCU’s jazz performance degree where he teaches 1st, 2nd and 3rd year guitar as well as 2nd and 3rd year ensembles. As of 2015, Chris' international appearances have become more frequent and so far has performed in Freiburg, Germany with the Andreas Herrmann Collaboration in January and with Rafael Jerjen's Radicium in February in Luzern, Switzerland. Ronan Guilfoyle is a major figure on the Irish jazz scene and has developed an international reputation as a performer, teacher and composer. He began his career with Louis Stewart's group in the early 1980's and studied at the Banff Centre for the Arts in 1986 and 1987 where his teachers included John Abercrombie, Dave Holland, and Steve Coleman. Performing on the acoustic bass guitar since the early 1980s, Ronan is now one of the instrument's leading exponents, and is now much in demand as a bassist, both in his native Ireland and on the international jazz scene. Among the people he has performed with are Dave Liebman, Kenny Werner, Joe Lovano, Kenny Wheeler, Keith Copeland, Brad Mehldau, John Abercrombie, Larry Coryell, Benny Golson, Jim McNeely, Sonny Fortune, Andrea Keller, Andy Laster, Emily Remler, Simon Nabatov, Richie Beirach, and Tom Rainey. He has also been leading his own groups since the mid 1980s, and his groups have toured extensively in Europe, Asia, and North America. He has recorded extensively both as a sideman and as a leader and his output includes the award winning "Devsirme" in 1997. Ronan has been composing for classical ensembles since 1993, specialising in compositions which feature both improvised and written music. He has had great success in this field and has now a large body of work that ranges from solo piano pieces, to chamber works, to orchestral compositions. Brendan Doherty is a drummer from Dublin, Ireland. He began his BA in Jazz Performance at Newpark Music Centre at the age of 16, and since then been making a name for himself as one of the most promising emerging talents on the Dublin jazz scene, playing with some of Ireland’s leading jazz musicians such as Mike Nielsen, Ronan Guilfoye and Michael Buckley. In 2015 Brendan was selected to represent his college at the IASJ meeting in Lisbon, Portugal. Brendan graduated from Newpark Music Centre with a Honours B.A in Jazz Performance in 2015 and he currently plays in two up and coming bands, “Cloud Castle Lake” and “Nova Collective” who have played some of the best festivals in Ireland and New York.